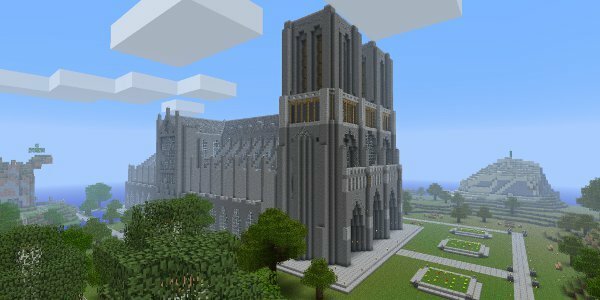 If you've been playing Minecraft since launch, you're probably bored of explaining the game to friends and family members at this point. Unfortunately, you're going to be asked about the game even more now that the movie's been announced. To save yourself some time, just point them toward this short guide. Minecraft is all about building. You're dropped in a randomly generated world and can make tools and buildings out of raw materials. Is there an actual objective? It depends on the mode. In Creative Mode, you start out with all the supplies you'll need to create buildings so you can just focus on building the most elaborate structures you can dream of. In Survival Mode, you have to go out and gather the building materials. You also need food so you don't starve to death. You can build shelter and weapons to protect yourself against zombies and other enemies. That's it? There's no way to win? Since the game first launched, developers have added a couple boss characters. 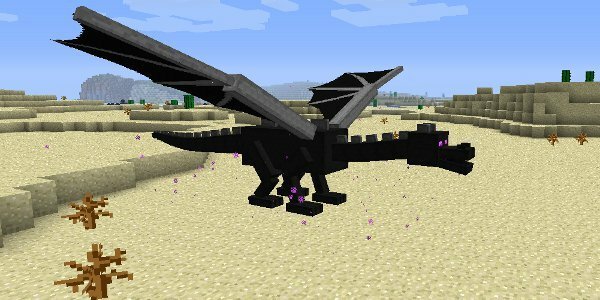 The first is a black drake called the Ender Dragon and the second is an undead monstrosity called Wither. Players have to gather up special materials to fight these bosses so this adds some structure to the game. Players have also created some adventure maps for the game. These scripted maps usually restrict players from building things and focus instead on combat or puzzles. Some of these maps are really elaborate. For example, one guy recreated co-op shooter Payday 2 within Minecraft. Minecraft isn't really an action or puzzle game, though. It's pretty rudimentary on both counts. The emphasis is on exploring the world, building things and then maybe sharing them with others. 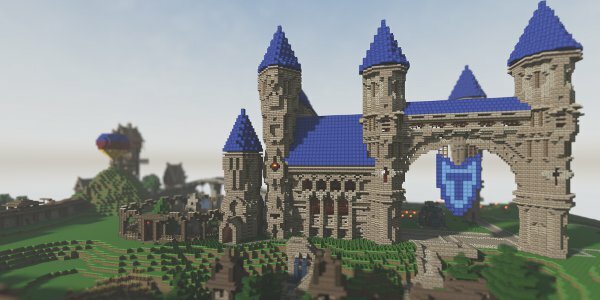 Creating an adventure map is closer to the core Minecraft experience than actually playing these maps, if that makes sense. Why is the game so popular? It sounds boring. The game's rise from obscure indie project to global pop culture phenomenon is a long story. If you're interested in all the details of that tale, I'd suggest reading Minecraft: The Unlikely Tale of Markus "Notch" Persson and the Game that Changed Everything. It's a interesting and accessible book that charts the development of the game and how it attracted millions of players. The short explanation for Minecraft's popularity is that it gives people an unprecedented level of creative freedom. Most games force you into a set path or set behaviors. They don't let you build your own cathedral from the ground up or recreate the USS Voyager. The game scratches an itch that most others don't. Minecraft outrageous success is also partly due to how social media friendly it is. When a player makes something impressive, they want to share it on Reddit or YouTube. The lack of in-game guidance spurs players to trade tips to understand the crafting system and other mechanics. How the hell do you make a movie out of this, though? I'm not even sure Warner Bros. knows at this point. I'm guessing their current plan is something like: 1) Film something for two hours. 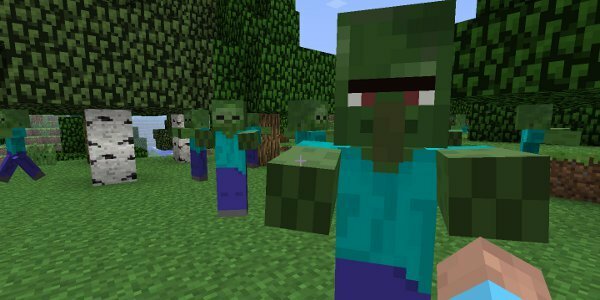 Minecraft's lack of a plot makes it hard to visualize what the movie would be like. The closest thing that the game has to a character is Steve, the generic white dude avatar. Warner Bros. is really starting with a blank slate. The loose nature of the game can be spun as an advantage, though. WB can do pretty much whatever they want with the movie. Like a Minecraft player, the filmmakers have a stack of raw materials at their disposal. They just have to figure out what to build with it. Here are a few ideas we came up with. 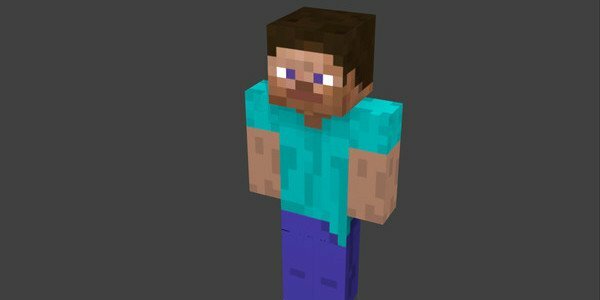 If I want to try Minecraft, what are my options? PC and Mac - This is the original version and as a result has the most features. Xbox 360 and PS3 - These versions have fewer features but you can play it on your couch with a gamepad. Also, it supports split-screen. iOS and Android - The mobile edition of the game has awkward touchscreen controls and a limited set of features. However, it's cheap and you can play it on the toilet.